About the Author: (Taken from her website): Hiya! I’m Elizabeth Richards, YA author of the BLACK CITY CHRONICLES. The Red Pen of Doom is just a place for me to let out all the crazy, so I don’t keep harassing my poor suffering friends and family with non-stop shop talk about books, books and more books (seriously, they’ve stopped calling me). When I’m not making the Internet a more awesome place, I’m in my study working on my latest YA fantasy novel. My agent is the amazing and brilliant Ayesha Pande of Ayesha Pande Literary, and my editor is the wonderful Stacey Barney at Putnam, Penguin. 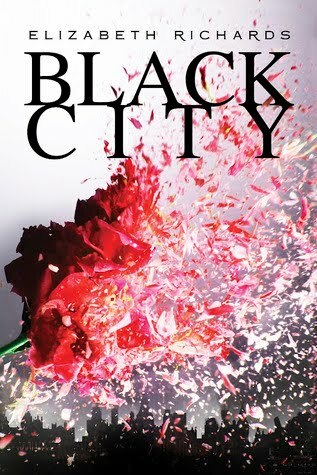 My debut novel, BLACK CITY, book one of the BLACK CITY CHRONICLES will be out in North America in August 2012. · I’m a little bit in love with Daniel Radcliffe. · My favourite book of all time is Harry Potter and the Half-Blood Prince. · My second favourite book is Harry Potter and the Order of the Phoenix. · I like stories about supernatural boys, kissing and blood. · I used to review videogames for a living. · It’s my dream to see 10 volcanoes before I die. I’ve already seen Stromboli, Vesuvius and Mt Etna. Just 7 more to go! BTW, all the editing tips on The Red Pen of Doom are just stuff I’ve picked up from my own editing experience, books, writer chums and from those in the industry. Take what you want on board, ignore the rest. The Red Pen of Doom is just here to help.